Specialty kitchen tools are like awesome toys for anyone who is passionate about cooking. From low to high tech gadgets in a variety of price points, there are some really useful tools any home chef should consider. 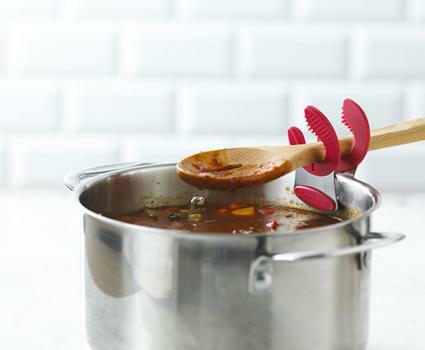 If you're tired of having to clean up a messy spoon holder when you're finished cooking, this little pot clip couldn't be simpler to use. Attach it to the edge of your pot or pan and slip your spoon into the holder after stirring. Liquids drip back into the pan, and there's virtually no risk of the kind of cross-contamination that comes from resting your spoons on other surfaces between stirrings. The clip is made from a combination of durable stainless steel and silicone. The heat-resistant silicone keeps the clip from scratching pots. Customer comments indicate the clip works well. There appears to be no drawback to using the clip. It's the little touches that make entertaining special, so why settle for ordinary ice cubes? 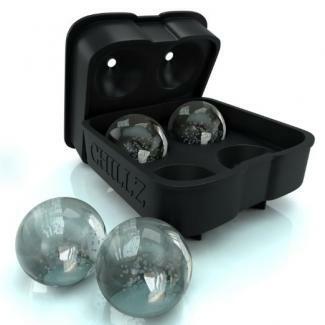 Froz ice balls are much more fun, and you can use them to chill individual beverages, pitchers, and punch bowls. The tray is made from flexible silicone for easier release. It's also BPA free. The tray is dishwasher and microwave safe. Amazon customer reviews indicate the ice balls are larger than standard cubes and take longer to melt. Customers indicate it takes some practice filling the tray before the ice balls turn out perfectly because the tray's fill line is a little difficult to see. The tray only makes four ice balls at a time, so you may need to purchase several trays to make enough ahead of time for entertaining. If you love to fill dough, this is for you. This neat little dumpling maker is designed to cut rolled-out dough into perfectly round shapes which you'll then place on top of it, fill, and fold over to seal closed. What you fill the dough with is only limited by your culinary imagination. Use a variety of different doughs and fillings to create sweet or savory treats. The tool is made from stainless steel and is dishwasher safe. There's plenty of room for fillings. Customers say it seals the edges of the dough very well to prevent leaks during cooking. Customers seemed to have different expectations for the size of the tool. For example, some thought it was too small to make empanadas or ravioli, while others thought it was too large. Skimming excess fat off the top of gravy can be a chore, but this handy fat separator makes it easy to get rid of the grease. Just pour in your gravy, let it settle, and then pour the contents into your gravy boat as the tool holds the grease back. 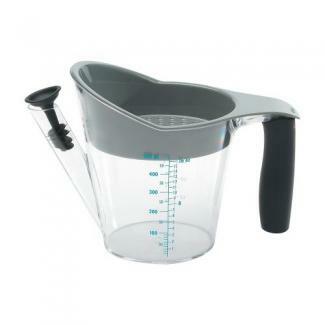 The measuring cup design makes it easy to tell how much gravy you'll have after the fat is separated, and the tool is designed to hold up to two cups of liquid. The separator is heat-resistant, dishwasher safe and according to one customer inquiry to the manufacturer, is BPA free. The vast majority of customer reviews on Amazon indicate this separator works very well. Some customers regretted not purchasing a larger version. A couple customers thought the separator didn't work well, but admitted they might not have used it correctly. 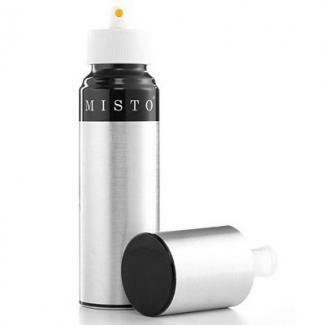 The Misto Spray Can from the Martha Stewart Collection offers a way to add flavor to meats, salads and other foods while controlling the amount of fat you use. Fill it with flavored vinegars and oils and simply pump it up to use. You can enjoy flavoring your food and coating your pans without the additives found in aerosol spray cans. The Misto is also environmentally friendly because you can reuse it and avoid adding more empty spray cans to landfills. This tool is made in the USA and comes with a limited lifetime warranty. A few customers complained that their Mistos didn't spray properly, but it's unclear if they followed the directions that say not to fill the bottle all the way so there's room for the air when you pump it. Spreading cold, hard butter is no easy task. The bell crock design of the Norpro Butter Keeper uses about 1/2 inch of water in the bottom to create evaporative cooling which keeps your butter fresh and spreadable with no refrigeration required. 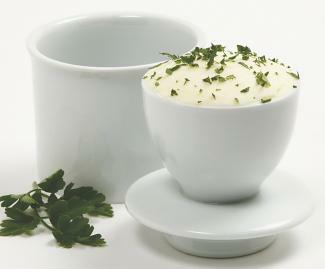 The 4 x 3 1/2-inch crock fits conveniently on tables and counters. It creates its own seal to keep air out. It keeps one stick of butter fresh for up to 30 days. The majority of Amazon customers who purchased this butter keeper like how it works. You must check the water level and refill with fresh cold water every few days to prevent bacterial growth. One customer claimed the crock developed fine cracks which turned the butter rancid. The crock should only be hand washed since it isn't dishwasher safe. 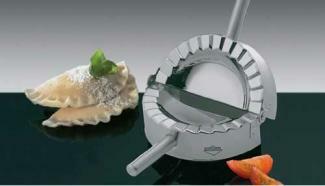 If you've ever wished you could create perfect multi-layered cakes, the Frieling layer cake slicer can help you do it. 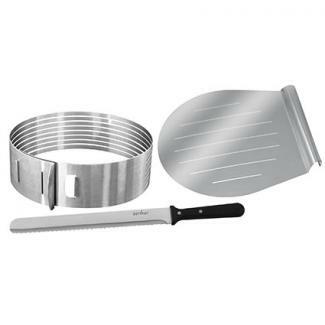 The three-piece kit comes with an adjustable slicing mould, a 12-inch baker's knife, and a layer lifter. Place the slicer over your cake, choose where you want to make your slices, and lift the layers away so you can add the filling before replacing them. You can choose how many layers you want to cut with an eight-layer maximum. You can also use it to level your cakes. Customers seem to feel it's easy to use. You'll need to purchase an extra deep spring-form cake pan to go with this set if you want to make a cake large enough to cut into the full eight layers. Vegans, vegetarians, and anyone who wants to eat healthier and include more vegetables and fruits in his or her diet will find the Paderno Spiralizer an inspiration for more creative cooking. 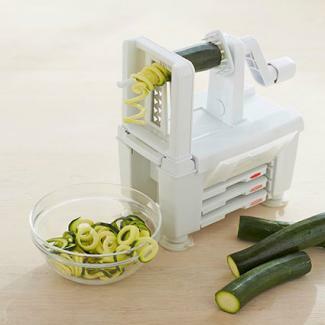 The tool cuts veggies and firm fruits into spirals, ribbons, strands, and shoe strings. The handle can be turned for right or left-handed use. The book includes tips on using the tool plus 20 recipes. The tool is made from BPA-free plastic and collapses for storage. Customer reviews claim it's easy to use and does what it's supposed to. In one review, a customer complained that there were no set up directions, but that it was easy to figure out. Specialty kitchen tools not only make cooking a little easier, they make it more fun. Give one of these tools a try and take a look at what else is out there. You just might wind up with a fabulous collection of kitchen gadgets of your own.